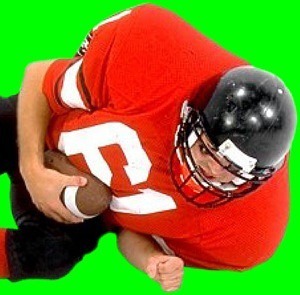 You’ve read about athletes who have suffered repeated concussions and resultant brain damage. This cause of injury is not new, but our understanding of the consequences is. Chronic traumatic encephalopathy (CTE) is a progressive degenerative disease of the brain in people with a history of repetitive mild brain trauma including multiple concussions. Changes in the brain can begin months, years, or even decades after the last brain trauma or end of active athletic involvement. These injuries can cause an abnormal buildup of tau proteins that become tangled inside the nerve cells of the brain, and ultimately strangle and destroy the cell. In a healthy brain, impulses are transported from the nerve cell body to the synapse along the axon. This transport system is made up of microtubules held together by tau proteins. In a video called “Inside the CTE Damaged Brain”, Dr. Ann McKee, the Co-director of the Center for the Study of Traumatic Encephalopathy (CSTE) at Boston University School of Medicine, explained that repeated head injuries could cause the tau proteins to detach from the microtubules, causing them to fall apart. The tau proteins can then become tangled inside the nerve cell and ultimately kill the cell. This damage can spread to other cells and lead to symptoms such as dementia. Tau clusters are a “tell-tale” sign of CTE. Depending on the area of the brain affected by this degeneration, symptoms can include memory loss, confusion, impaired judgment, paranoia, problems with impulse control, irritability and other personality changes, depression, and eventually more severe neurological changes such as progressive dementia. The only way to diagnose chronic traumatic encephalopathy (CTE) is through the examination of brain tissue after a person has passed away. CTE was previously called punch drunk syndrome and dementia pugilistica because it was mainly found in boxers. According to the Sports Legacy Institute, the term CTE appeared in the medical literature as early as 1966. There were only 49 cases described in the medical literature between 1928 and 2009. CTE has distinctive neuropathological changes that are “easily distinguished” from other tauopathies (progressive neurodegenerative diseases associated with the accumulation of tau protein in the brain). These studies reinforce that repetitive mild head injuries can have serious long-term repercussions. It is NOT just a concussion. I hope that continued research will lead to more emphasis on preventing “head hits” and other head injuries in all sports, and better protection for our brave men and women in the military. There has been a lot of discussion about improving equipment such as the helmets used in sports. However, because the brain can travel about inside the skull, and many head injuries are caused by the brain hitting the inside of the skull, padding from outside the skull is not the complete answer to preventing brain injuries. There should also be improved guidelines for assessing individuals who sustain head injuries during a sports event, and potentially barring individuals with a history of repetitive head injuries from playing contact sports that have a high likelihood of head injury. Med League provides medical expert witness cases involving brain trauma. Contact us for your next case.